Akira Okuzono (Kasumi Arimura) suddenly loses her husband. She goes to her late husband’s hometown of Kagoshima with her 9-year-old step son Shunya. There, she meets her father-in-law Setsuo (Jun Kunimura). The three of them begin to live together. Akira Okuzono looks for a job. 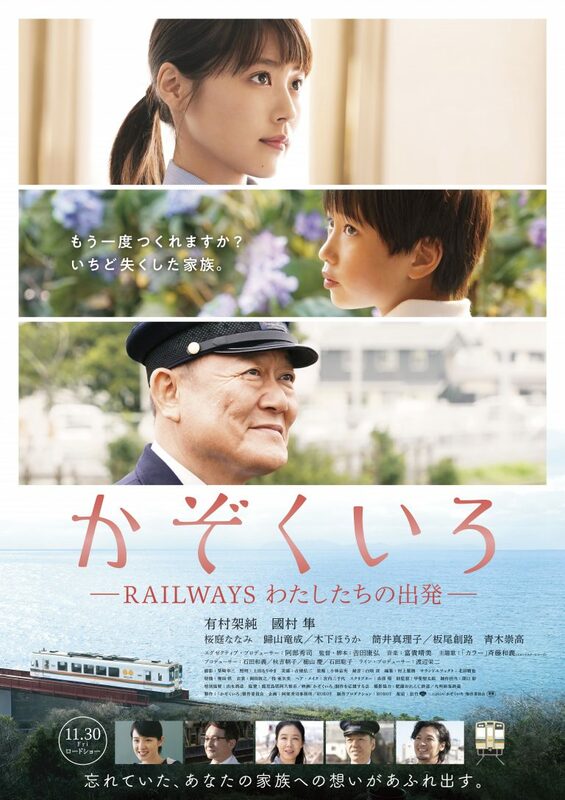 She decides to become a railway driver which is what her father-in-law does for a living and what her late husband dreamed of becoming when he was a child. Filming takes place from January, 2018 to February, 2018 in Kagoshima, Japan.